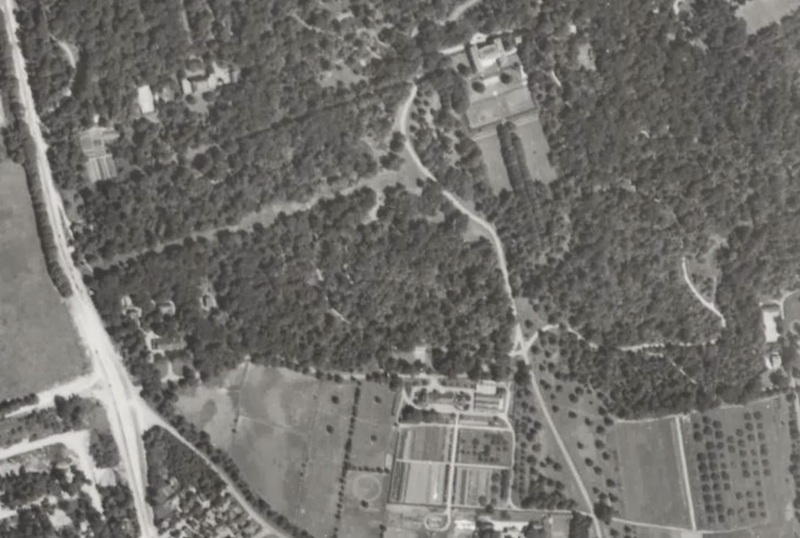 A 1938 aerial of 'Spring Hill', the Henry Carnegie Phipps estate designed by John Russell Pope c. 1903 in Old Westbury. Also visible in the upper left hand corner is the Ogden Phipps residence designed by Delano & Aldrich c. 1929. Click HERE and HERE for more on 'Spring Hill'. Photo from Stony Brook University's Digital Archive.